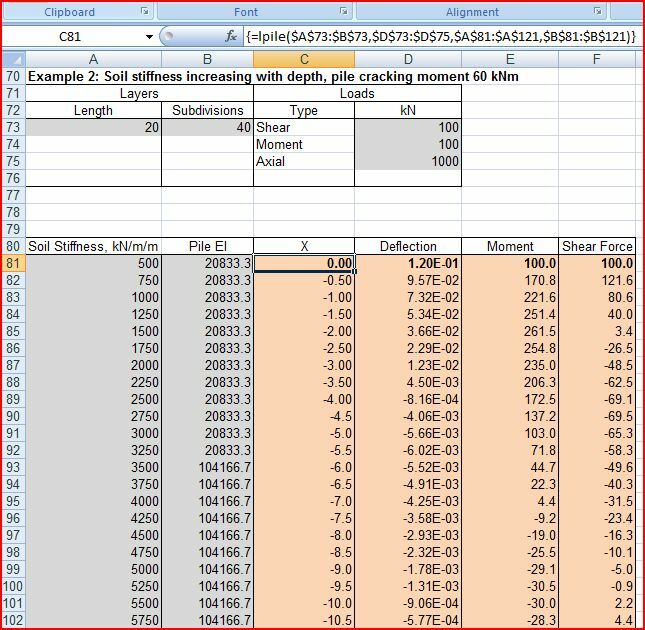 This post presents an Excel User Defined Function (UDF) to carry out the analysis of vertical piles subject to horizontal loads, using the same approach as employed in the DOS program COM624. A spreadsheet including the UDF and an on-spreadsheet solution using the same method may be downloaded from LatPile.zip. As usual the file contains full open source code for the UDF and associated routines. Detailed background information on the method of analysis is given in the COM624 manual, which can be downloaded from the link given in the previous post. An outline of the method, including all relevant equations used, is given below and in the download file, together with some simple examples. 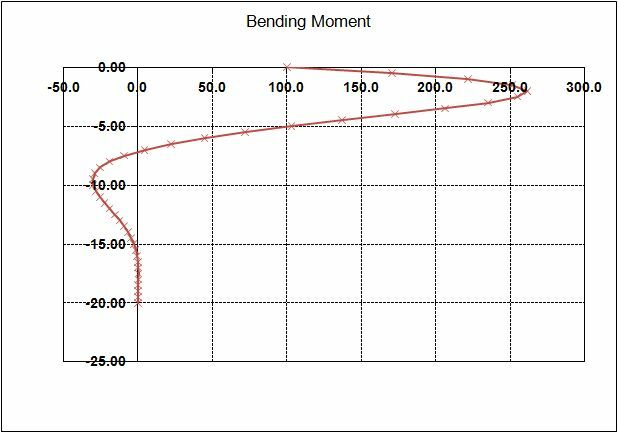 Example 2 is a reinforced concrete pile with a cracking moment of 60 kNm in a soil with stiffness increasing with depth. The pile and soil stiffness values have been adjusted by hand in this case. 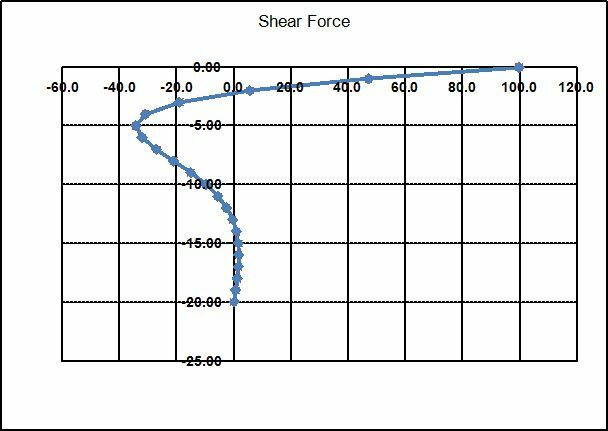 Future versions of the program will allow input of non-linear soil and pile section stiffness. 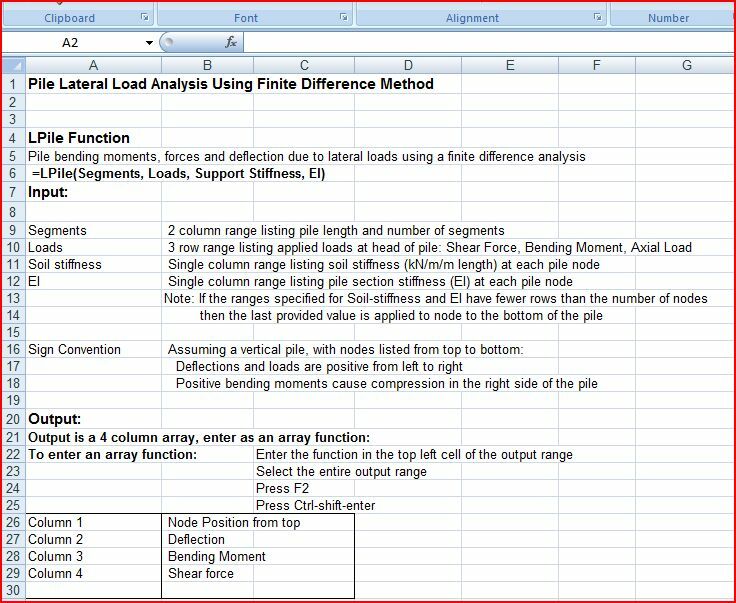 This entry was posted in Beam Bending, Excel, Geotechnical Engineering, Newton, UDFs, VBA and tagged COM624, Excel, Laterally loaded pile, LPile, UDF, VBA. Bookmark the permalink. thank you very much, i will study this program within couple of weeks. hope to be useful to you someday. I am bit lost, is there is manual that one can follow or instructions. When I edit the amount in the loads section the whole model gets an error where formulas have been placed. 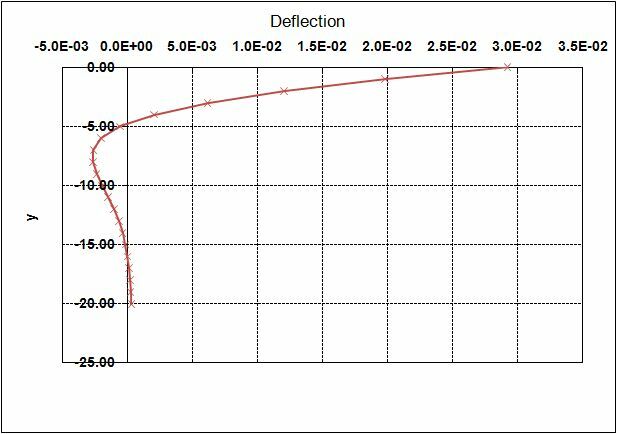 For example my figures in the X, Deflection, Moment and Shear Force columns change to #NAME? and therefore all the graphs do not show. Any help would be great. I am using Excel 2007. I have found your posts about your LatPile excel files very interesting. I know it’s a bit old and you have done a very nice job expanding the file to allow non-linear soil responses. However, I really like this first version, because of the worked out matrix in the FinnDif sheet. The excel worked out function (your verification) is correct. 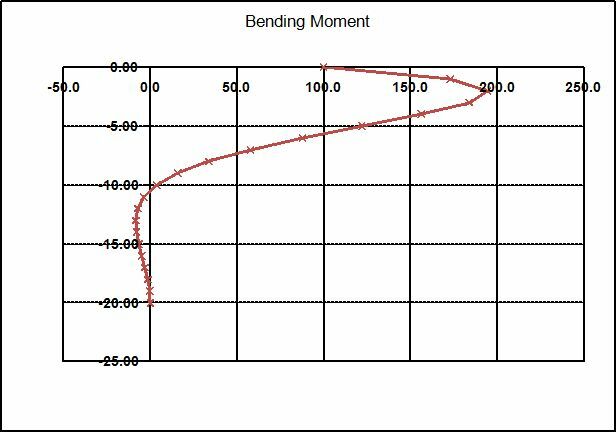 You can notice the effect of it when selecting a long piles and having a lateral load applied. 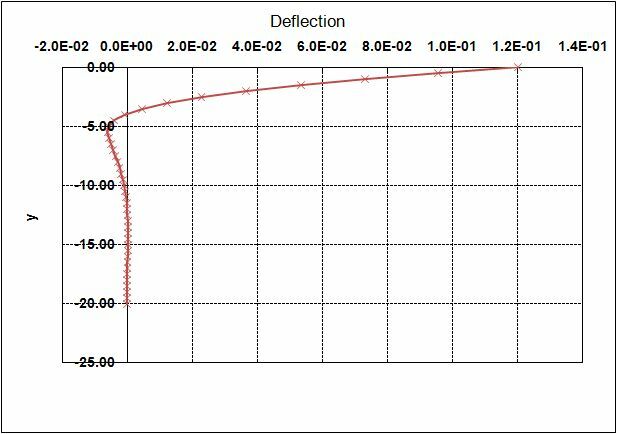 The excel output presents a correct output (constant pile tip deviation). Thanks for the feedback. I agree on both points and I will upload a corrected version. The later versions of the spreadsheet (Latpilepy) use a different routine, based on a “beam on elastic foundations” rather than point spring restraints. 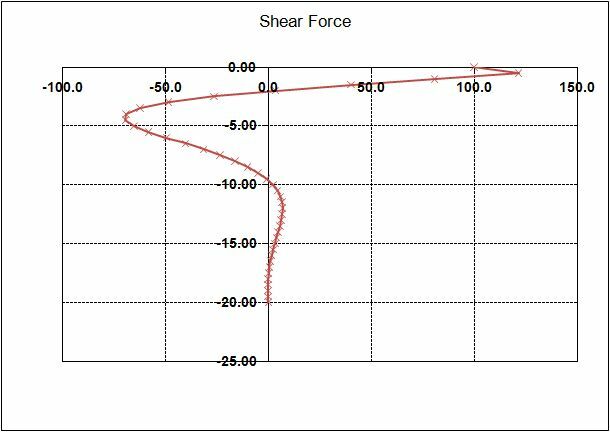 The new version gives near exact agreement with results from a commercial FEA program (Strand7), so I am reasonably confident that is working OK. 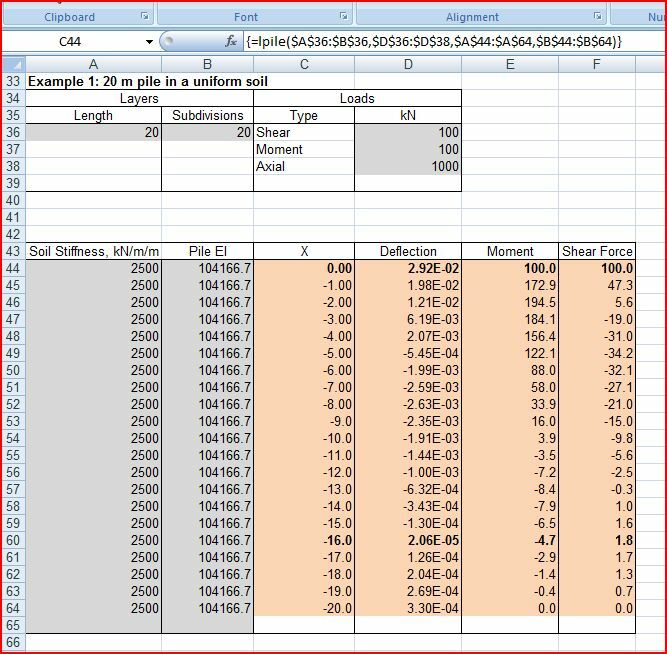 Regarding using the worksheet functions to solve the matrices, the GESolve routine is taken from my frame analysis spreadsheet, where it gives much better performance than MInverse, and allows much bigger matrices to be solved (especially with older versions of Excel). It doesn’t make much difference with the LatPile routines, but as I have it available, I may as well use it.